Orthodontics cost of treatment depends on several factors. Orthodontics for adults tends to cost more than for children. The overall price will be affected by the complexity of the case, the type of brace to be used, the experience and training of the orthodontist, the locality and the facilities of the practice etc. 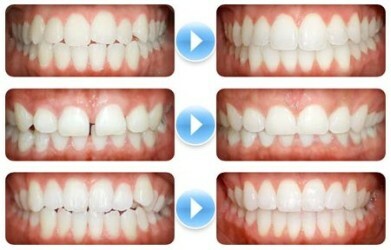 To obtain a definite figure you will need to arrange a consultation with the orthodontist. This should not involve you in any commitment to proceed with treatment. The orthodontist will then be able to assess the problem, discuss the options with you and set out the costs. The differences between each individual and the variations of the problems present usually require different treatment options for each patient, hence a different cost. Since each orthodontist office will set their own fees, second opinions can also be advantageous for obtaining price estimates. Make sure that when comparing fees, the services included in the estimate are comparable. For example, some orthodontists offices will charge separately for the different stages of treatment, while others will provide a comprehensive fee. Also ask about the possibility of additional charges and discounts. Siblings may sometimes receive discounts off of the fee if braces are needed for more than one family member. – Payment in full with a discount: Payment in full at the beginning of treatment may provide a way to save some money. Many orthodontists will give a discount if the entire treatment fee is paid when the braces are placed. Discounts vary from office to office, but are usually in the 3%-7% range. – Payment over time (with or without interest): Payment over time is another popular option offered by many orthodontists. Many will offer this option as an interest free payment plan, usually requesting an initial payment around 25%, then spreading the balance over the treatment time. The savings by avoiding interest and smaller monthly payments make this an attractive option. Many orthodontists also offer convenient payment methods, including monthly statements, coupon books, or automatic payment with your credit card or checking account. – Bank or other financing: Third party companies and banks have offered loan and payment options that some patients find desirable. Be aware that these options involve credit checks and interest. Orthodontic patients require frequent check-ups before, during, and after the treatment period. These check-ups, which are scheduled every 6 weeks or so, usually involve taking impressions or x-rays, tightening arch wires or springs, changing elastics or installing new appliances. Usually they are quick. But even so, you could find yourself sitting in the waiting room, waiting your turn. So make sure the orthodontic practice you are considering has sufficient support staff to efficiently handle the number of patients. If you work or go to school, knowing whether the orthodontist has early morning and/or late afternoon appointments can make it easier to fit these frequent and sometimes lengthy visits into your schedule. Since you will be making frequent visits, also consider the proximity of the orthodontist’s office to work or school. Think about the amount of traffic you will encounter getting there as well as other factors that may take up more of your time. If the orthodontist is too hard or too far to get to, this could become a problem. 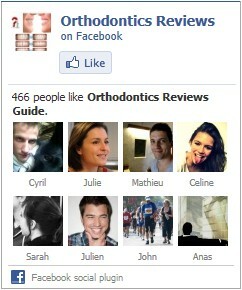 All this should be taken into consideration before making a final decision on an orthodontist.